Paisley art has originated from Persia, travelled Uzbekistan and Iran where it began its production of various household articles and garments. In Persian culture, garments of King and court people were woven from gold and silver threads on silk fabric. From the culture of Zoroastrian, this art got its religious beliefs to be the symbol from Cyprus tree. Later in 18th century it got moved to the lowlands of western Scotland, where it got its name Paisley on the basis of Paisley town of Scotland. Scottish women adopted this art as their work pattern on woven shawls. In Indian origin, Rajasthan was the state that saw it’s the dawn of paisley with exquisite work. Craftsman of Rajasthan started producing large amount of bedsheets in paisley prints with their own innovations in embroidery work. In the late eighteenth century, The East India Company Officers, while their travelling back to their country, took Jaipuri bedsheets with them. 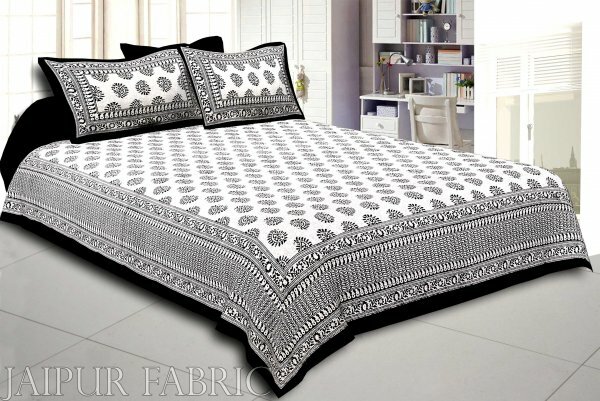 These bedsheets resultantly increased trade in cashmere goods from Rajasthan. When Jaipuri bedsheets were first brought to the western countries, it became their status symbol which again had transformed many different styles. Europe being in Trade for Jaipuri bedsheets started its production in Norwich, in England. But the cashmere quality of Rajasthan being unbeatable, Europe had to change its style of manufacturing fabric and printing paisley patterns over it. Paisley shawls had always been the vital item of a women clothing collection from over 60 years. Being costly in its nature manufacturers had been trying to produce low cost paisley work shawls. There are many paintings reflecting kings wearing paisley woolen shawls are kept in Europe Museum which depicts the popularity of these print even centuries back. The popularity of paisley prints had spread all over the world; its unique design of tear drop shape has significance in Zoroastrians culture. Another belief of its palm bud had been related to Scottish culture where bamboo palm tree is source of their life that provides them food, thatch, wood, wine and many more. Earlier designs of paisley print were very naturalistic; but now days as fashion had changed tremendously, alterations came into the patterns merged with paisley design. Some geometric patterns had also entered in to this line of motifs. Due to its recognition among high class people, this art form had been adopted by Rajasthan in the way of Block printing as printing paisley designs is cheaper in terms of weaving them in fabric. During Mughal period also, this tear drop design got so popular that every décor item was experimented by this pattern. Even the symbols of princess and saints used to carry this print. Today, the scenario is such that Paisley is loved by all age groups. This is the reason that Rajasthani emporiums and the online stores selling Rajasthani stuff is making way for the fabrics and other items decorated with paisley art work. They can be bought easily from the online shopping portals.